As Kansas City’s premier window and siding company, we have a long list of reasons why you should invest in window installations for your home. 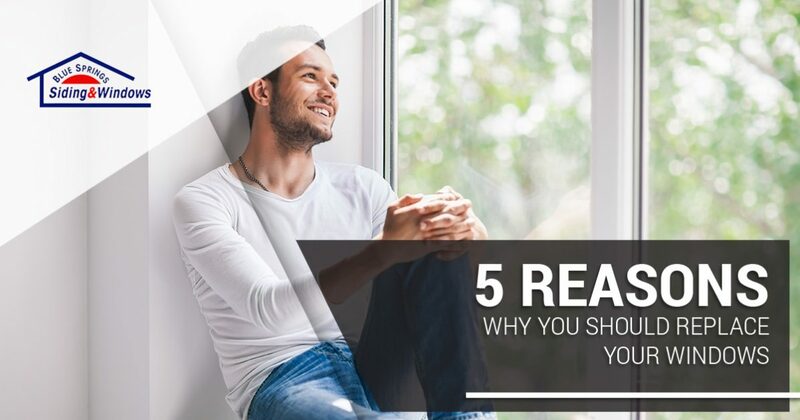 In the interest of keeping today’s post brief, we’ll look at a look at five reasons why you should replace the windows in your home. When you’ve finished reading this post, head over to our website to request a free window installation estimate! Did you know that windows are often a primary cause of high utility bills? Older windows often begin to crack and separate from the wall, allowing the warm or cool air from your home to escape into the outside environment. Conversely, these cracks also allow the outside air to come in. The end result is that your HVAC system uses more power to keep your home at a stable temperature, and you end up footing the bill. If you want to boost your home’s efficiency and maximize your comfort, then we recommend meeting with one of our talented window contractors to discuss your options. We can help you find models that keep your home insulated and allow you to use natural light instead of electricity during the day. If your home has older windows, then it’s likely that they’ve become difficult to open as the years have gone by. Perhaps they don’t fully open, or maybe they no longer open at all. In any case, windows that open easily are essential to your personal safety. In the event that you need to exit through the window because of a fire or another emergency, you’ll be glad you invested in replacement windows that open without issue. Additionally, the replacement windows we provide have state-of-the-art locking mechanisms that add an extra layer of security to your home. 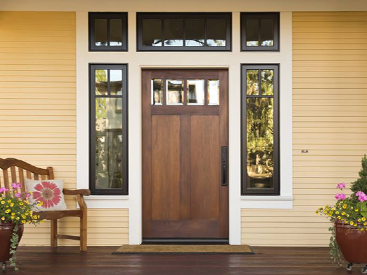 Your home’s curb appeal can’t be reduced to any single element, but your windows do play a key role. They’re one of the first things that guests see when they arrive at your home, and they’ll almost always be noticed by anyone who steps inside. Even if the rest of your home is in pristine condition, cracked, cloudy, and generally outdated windows can make your home look significantly older than it actually is. 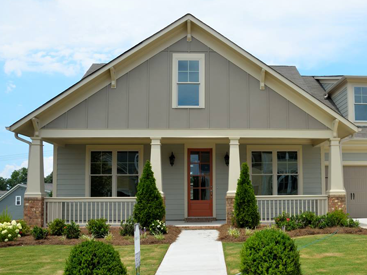 Moreover, if you plan to sell your home in the near future, then you can showcase your new replacement windows in your listing to make your home stand apart from the competition. Buyers will love knowing that they won’t have to replace the windows anytime soon, and you’ll also benefit financially from an increased home value. For more information on the topic of investing in new windows, be sure to read through our blog post about the return on investment (ROI) you can expect from a window installation. 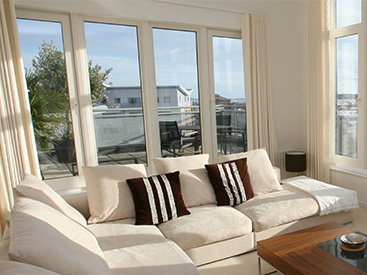 In the interest of making sure that you have all the information you need to make a decision, we’ve also written a post that details what it costs to invest in new windows for your home. Whether you live on a busy street or your home is located in close proximity to other homes in the neighborhood, hearing the outside environment is almost never a pleasant experience. Perhaps you’re tired of being woken up in the middle of the night by cars honking, or maybe you’re not a fan of the music your next-door neighbors play as they make dinner. Whatever the case may be, investing in new windows is often one of the best ways to reduce the noise you hear while you’re in your home. Older windows tend to have thin glass that allows sound waves to pass through with ease, but the replacement windows we provide are designed to keep intrusive noises at bay. When was the last time you cleaned your windows? In many cases, homeowners tell us that they can’t remember the last time they cleaned their windows because they’re difficult to open. At Blue Springs Siding and Windows, we know how important it is to keep your windows clean, and each of the models we sell is designed to be highly user-friendly. Casement and awning windows, for example, tilt inward for easy cleaning and are one of the easiest window models to maintain. No matter what you choose, you’ll love having the ability to make your windows shine without a hassle. These are just a few of the many reasons why you should invest in a window installation from Blue Springs Siding and Windows. We plan to continue this discussion in future posts, so be sure to keep an eye on our blog. In the meantime, head over to our website or fill out the form below to request a free quote! Whether you’re looking for a single window or replacement windows for your entire home, we’ll help you find the perfect products for your needs. We look forward to speaking with you soon!